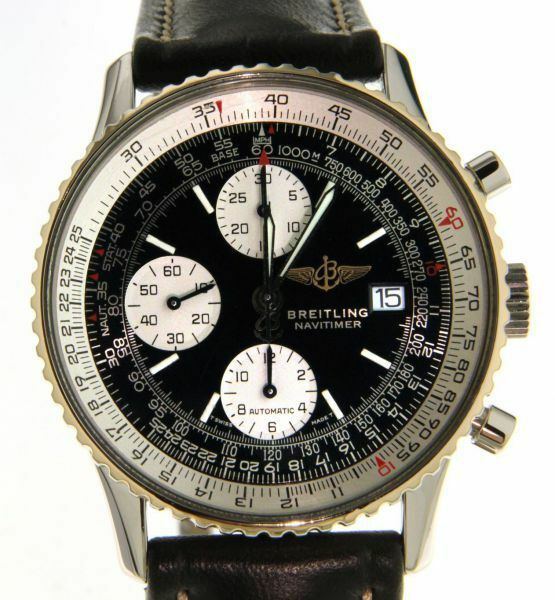 Functions: Hours, minutes, seconds and chronograph. 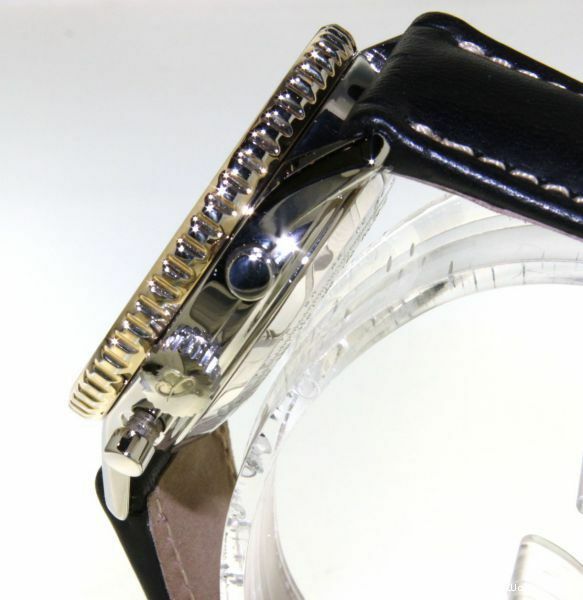 Case: 18 kt yellow gold and Stainless steel – Dimensions: 41.5mm, thickness:13.9mm , sapphire glass. 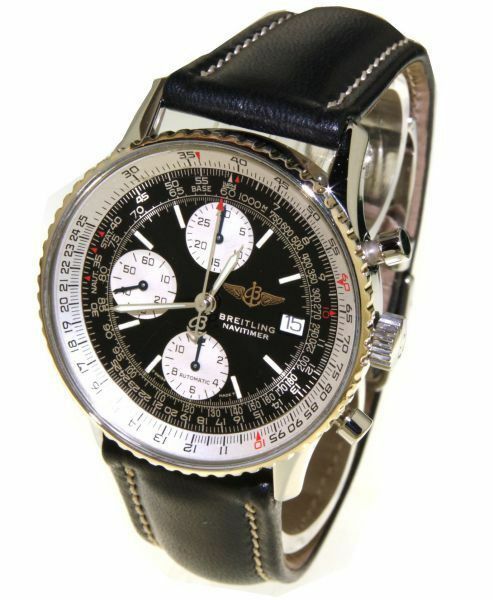 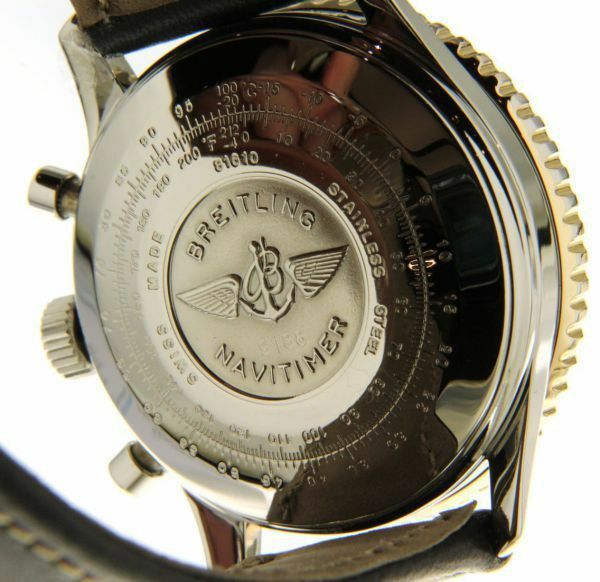 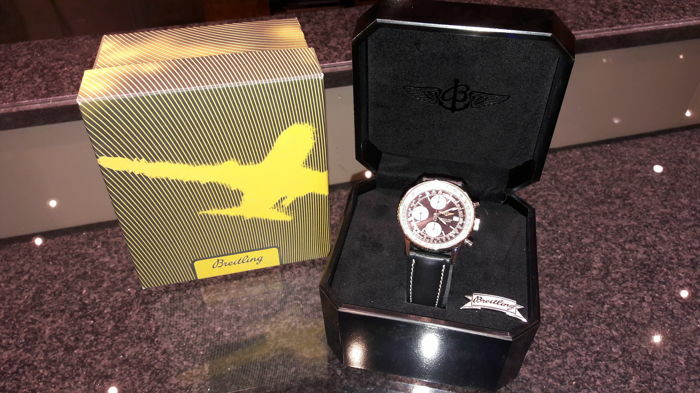 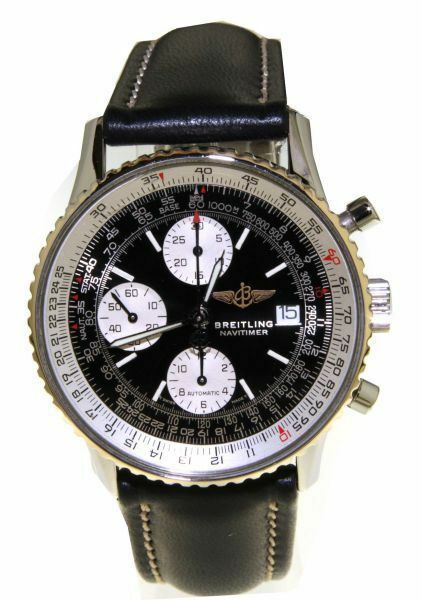 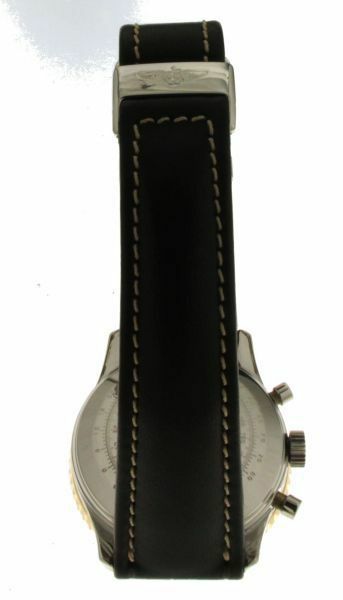 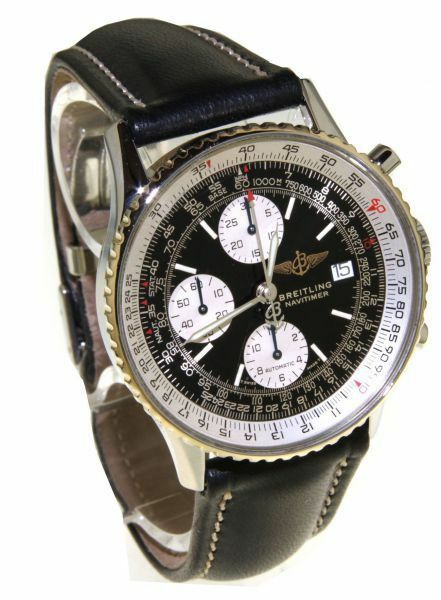 Strap: Black leather strap – max length: 21 cm , Folding clasp in steel original Breitling.